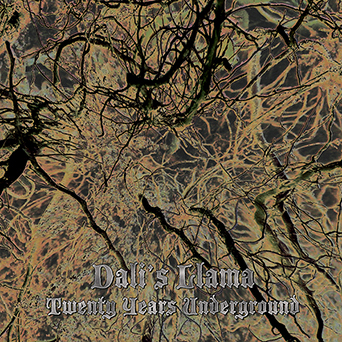 DALI'S LLAMA "Twenty Years Underground"
We formed DALI'S LLAMA RECORDS in 1993 in the tradition of (DIY) independent record companies. We remain dedicated to producing quality music, covering a range of music styles including hard rock, alternative, power pop, Americana / folk, blues, improvisational and experimental. The DALI'S LLAMA RECORDS catalog includes independent music artists Ogressa, Primordial Blues, Zach Huskey and of course, Dali's Llama. We continue to be unique among independent record labels by, in 1998, expanding the DALI'S LLAMA RECORDS catalog to include independent books as well. Our book catalog includes Avante Garde Classical Music Scores as well as Poetry / Prose. We hope you enjoy browsing our web site and our catalog of music and books. If you have any questions or require any additional information, please contact us at: writeus@dalisllamarecords.com.